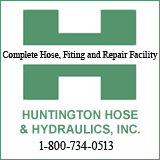 HUNTINGTON, W.Va. – In the twilight of the first half, senior guard C.J. Burks held the ball on the left wing and faked a shot, then whipped the ball to another senior in the backcourt, Jon Elmore, who was standing at the top of the key. Elmore dribbled to his left and drew the defense toward him, then fired a pass back to the wide-open Burks, who drained a 3-pointer. And so goes the Marshall men's basketball team these days. Burks and Elmore combined for 59 points for the second consecutive game, and then had a ton of offensive and defensive support to help the Thundering Herd keep its winning streak alive and its conference record blemish-free. "We're clicking – finally," Elmore said after Marshall's 105-97 win against visiting FIU on Saturday night at the Cam Henderson Center. "And we're having fun, man. Those non-conference games early on where we're getting whooped and we're not making shots, it's no fun for anybody. Even fans, I can feel your pain. We were in a rut. We were down. But we're finally hitting our stride." Indeed. Saturday's win in front of a home crowd of 7,330 is the fifth in a row for Marshall, which is 12-6 overall and sits alone atop the Conference USA standings. The Herd will play its third game in five days this Monday when it travels to Bowling Green, Kentucky, to face preseason C-USA favorite WKU. Marshall defeated the Hilltoppers, 70-69, a week ago. "We're 5-0 in conference play," Elmore said. "We have a tough one going to Bowling Green with Western. Hopefully we can get to 6-0. It all comes back down to having fun, man. When you're having fun out there you play much more loose, your shots fall a little bit better, the ball moves more, the energy is better. It comes back to having fun." There was plenty of that Saturday night. The 6-foot-4 Burks scored 30 points for the second time in three days and third time this season, equaling his season best scoring output on only 15 field goal attempts. Burks shot 11 of 15 from the field, 4 of 6 from 3-point range and 4-for-4 from the line. The native of Martinsburg, West Virginia, is 19-for-29 from the field and a perfect 16-for-16 from the free throw line with 60 points in 69 minutes the last two games, and against the Panthers he made a giant leap up the school's all-time scoring list (see notes below). "It starts off with the athletic ball," Burks said, "when we get the ball with the ball movement that coach stresses every day." Burks scored 18 of his game-high 30 in the first half as the Herd built a 53-43 lead by intermission. But he hardly shouldered the scoring load as one of three MU players with 20 points or more, joining Elmore (29 points) and breakout freshman Taevion Kinsey (20). The Herd equaled its season high in points scored with 105. "That pace was frenetic," Marshall coach Dan D'Antoni said. "It was hard to use the bigs in that one. Again, Jon and C.J. led us. Good contributions from everybody." Marshall likely will not have many regrets about points that could have been. The Herd shot 55 percent (17 for 31) in the first half and 61 percent (20 for 33) in the second, building its lead to as many as 15 points with 19:24 left of the second half. That is when Burks and Elmore worked together for Burks' 3 from the left wing. Elmore scored 29 points – just as he did two games earlier against FAU – and added a game-high six assists and four steals. Kinsey, recently inserted into the regular starting lineup, eclipsed 20 points for the second time in three games and added a career high nine rebounds. Kinsey's 10 field goals came on eight dunks, a putback and a layup, and the collegiate rookie scored 16 of the team's 52 second-half points. "That's kind of what I do," Kinsey said. "Dunk the ball every single time I touch the ball." Overall, Marshall made 37 of 64 (57.8 percent) shots from the field, 8 of 18 (44.4 percent) from 3-point range and 23 of 30 (76.7 percent) from the line. Watson added 13 points and West scored 12 points with finished with five steals. "The pace was crazy; we were getting up and down," Elmore said. "We made shots, they were throwing long passes. They made shots, we were getting alley oop dunks in transition. It's a fun game. That's the way you want to play. That's our style of basketball." Burks passed three names on the school's all-time scoring list. With 30 points, Burks pushed his career total to 1,560, surpassing Tom Curry (1,535, 1984-88), Charlie Slack (1,551, 1952-56) and Damier Pitts (1,551, 2008-12). Burks is now No. 14 in Herd history in career points. Marshall recorded 16 steals as a team, the 15th time in school history a team has accomplished that feat and the most against a Division I opponent since the Herd had 17 steals against UNC-Asheville on Dec. 28, 1999. Because of those steals, Elmore pushed his career total to 152, passing Tink Brown (150, 1992-95) for No. 6 in school history. Burks has 121 steals, which broke a tie with current MU assistantCornelius Jackson (117, 1998-91) and moving him past Harold Simmons (118, 1989-93) for No. 14 all-time. West collected five steals for the second consecutive game, giving him 99 for his career and moving him past six names on the all-time list: Markel Humphrey (98, 2005-09), Ken Lebanowski (98, 1977-81), J.R. VanHoose (97, 1998-02), Darryl Merthie (96, 2006-10) and Greg White (96, 1977-81). The Herd scored at least 100 points for the second time this season and 13th time in five seasons under D'Antoni. 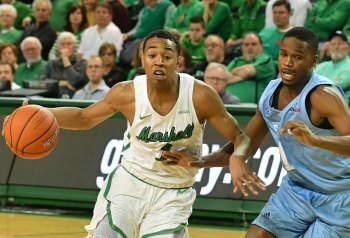 Marshall extended its win streak against Conference USA competition to nine games dating back to last season. The Herd has won 30 consecutive games when leading at the half.